Unsanitary conditions – Rodent urine and excrement can quickly cause a health hazard, which can persist even after rodents have been removed. Damage to your home – Rodents have a strong propensity for chewing and can damage installations, such as wiring, throughout your home. At Kilter, we ensure our services are effective by using only the most advanced rodent control methods and products, such as RO-DEX. Once we have installed our system and sealed off entry points, we’ll continue to monitor your infestation and rebait traps in your Fall Brook, CA, home. 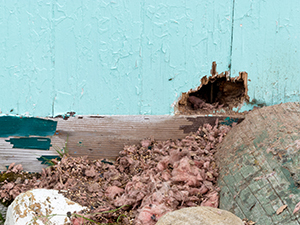 After there are no more signs of rodents in your home, we’ll provide you with a two-year rodent control warranty. We can even help restore sanitary conditions in your home. For example, we can replace old insulation, which may have become saturated with rodent urine, with TAP Pest Control Insulation to protect your home from future infestations. To learn more about the rodent control solutions that Kilter Termite and Pest Control offers in Fall Brook, CA, contact us today.